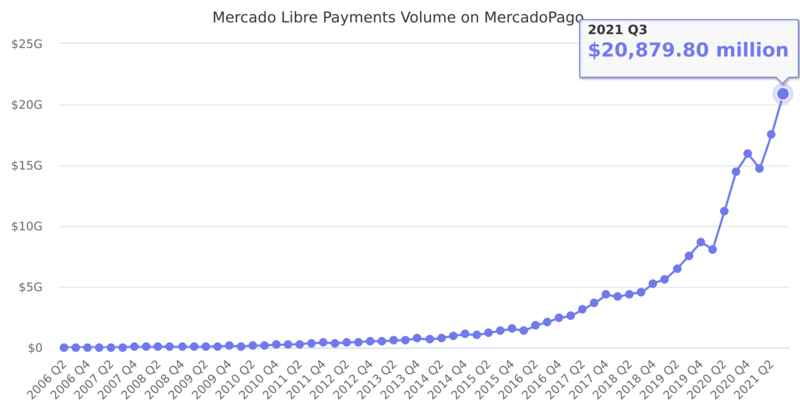 MercadoLibre runs MercadoPago, a safety payment system. When adding MercadoPago in its listings, sellers allow buyers to choose among many payment alternative methods such as cash, bank transfers and credit cards or installments, among others. In 2016 Q3 it surpassed MercadoLibre core marketplace Gross Merchandise Volume. Last reported quarter 2018 Q3 it was $4,552.40 million, up by 24% year-over-year from $3,667.10 million. From $7,753.80 million in 2016 it increased by 78% to $13,763.10 million in 2017.